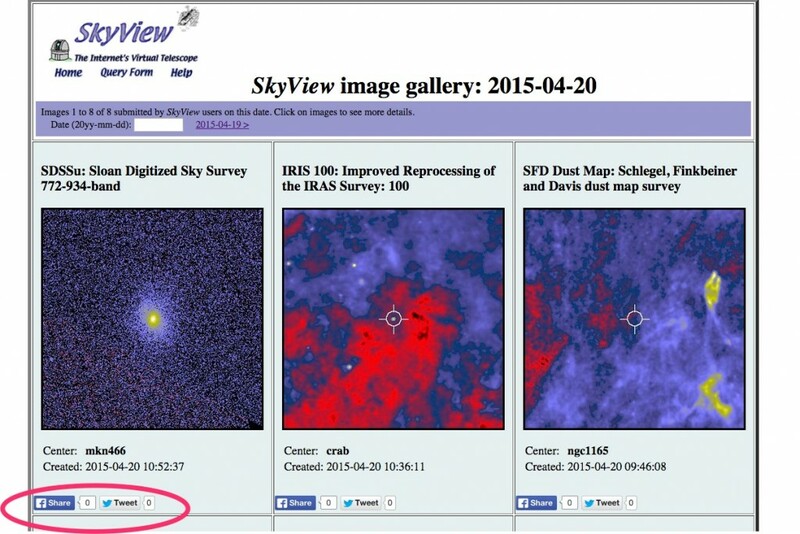 We have released SkyView v3.1.12 with 2 enhancements! 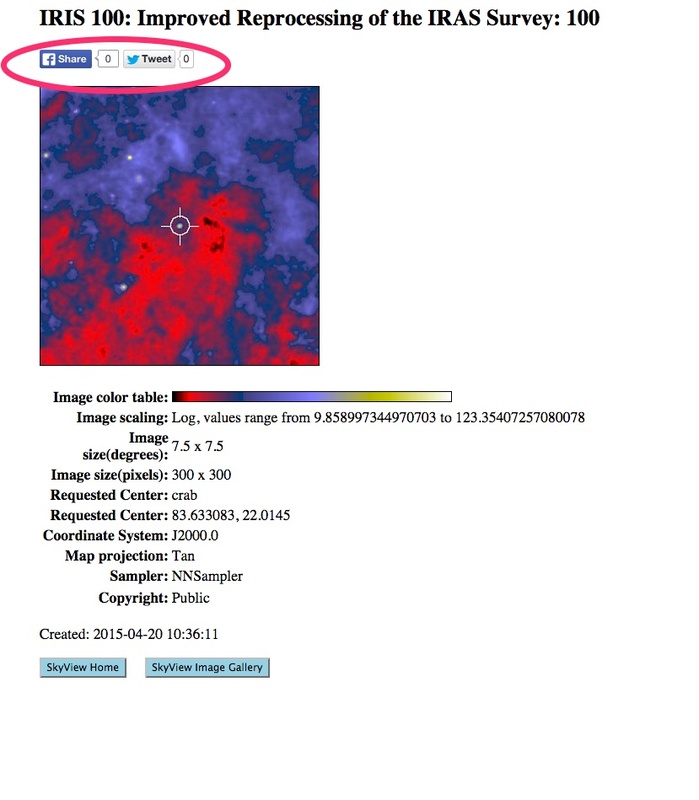 This new version adds social network sharing options to the SkyView Image Gallery and a helpful option to the Overlays section of the main SkyView Query form. The new feature in the Overlays section of the SkyView Query form is the option to draw a reticule indicating where the center of your SkyView image is located. Below are screen shots from a SkyView Image Gallery page, an individual gallery image, and the SkyView Query form showing the location of the new reticule overlay option. Note that the gallery images also demonstrate the new overlay option. 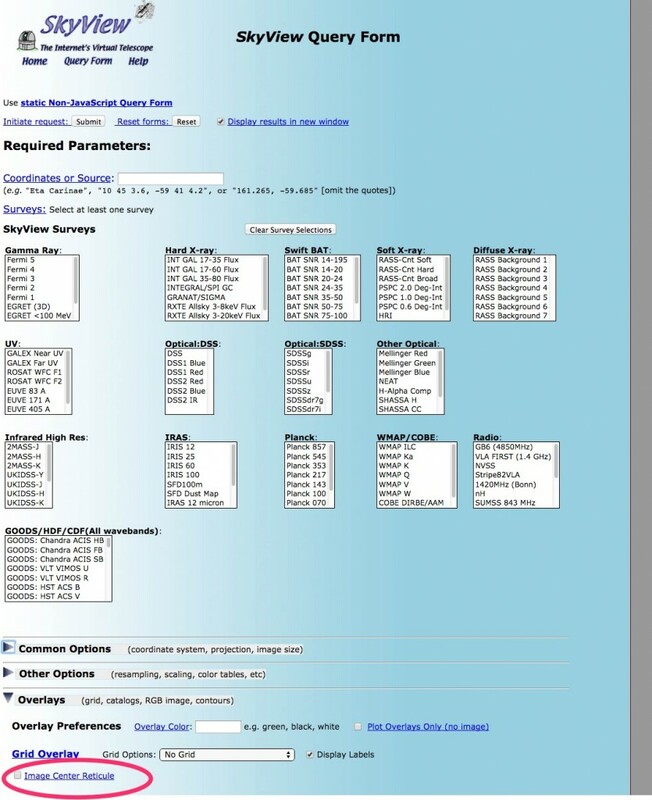 This entry was posted in Announce, releases and tagged enhancements, Gallery, releases. Bookmark the permalink. Thank you for the information, the existing articles on this website are all really useful. WOW, This is what i have been looking for. i love this your blog, it is one of the best blog i visits. i promise to recommend this blog to my friends.